I'm not a big fan of BB creams in general but I love their skin benefits so I didn't want to completely give up on them yet. So, I decided to give this a go. It was pretty solid. 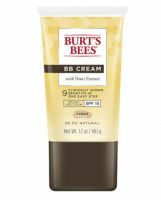 It had a nice sheer coverage and gave my skin a nice bronze tint. However, it didn't last long into the day. 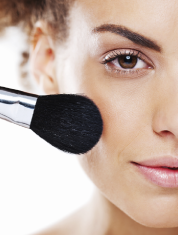 This covers dark circles and redness nicely without being cakey or chalky. The color looks natural and leaves my face glowing. It lasted for me throughout the day and didn't smell at all. I really like the coverage of this BB cream, and the light shades matches my extremely fair skin. The only thing that I'm taking stars off for is the smell -- when you apply it it has a wonky smell at first that luckily fades in a few minutes.